Maldives beach and ocean resort Angsana Velavaru (above) is offering a range of holiday packages that will be available until April next year. For the Dive and Explore Package (US$580 or S$790 a night), guests have five-day, four-night and eight-day, seven-night options. The packages include the use of diving equipment and non-motorised sport equipment and meals and come with 25 per cent off extra meals and drinks at restaurants and bars (excluding destination and in-villa dining). The All-Inclusive Package (US$490 a night) allows guests to indulge in gastronomic pleasures - from a four-course dinner with a lobster dish to free-flow beverages at Kuredi and Azzurro Bar. 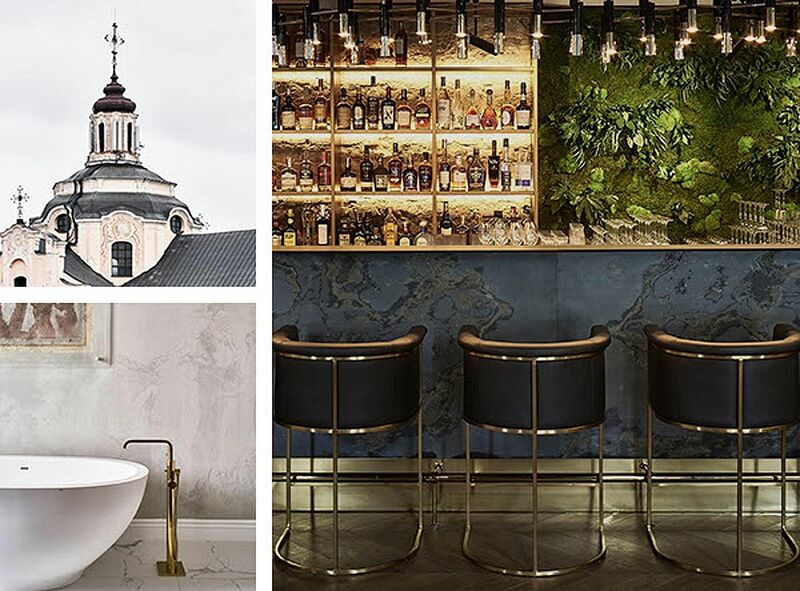 A 17th-century mansion in the mediaeval Old Town of Vilnius, the capital of Lithuania, is now home to the 104-room Hotel Pacai. The luxury hotel (above) has retained old architectural details such as a courtyard and arches, original frescoes and restored wall paintings dating to the Baroque period. Amenities include a brasserie, bar, full-service spa, gym, two conference spaces as well as a shop showcasing the region's amber stone and high-end watches. Online travel magazine The Asia Collective has released its yearly dining guide, Hungry In Bali (US$50 or S$68.20), which offers a whistle-stop guide to 60 of the Indonesian island's hot attractions. They range from mouthwatering pizzas at Da Maria in Seminyak to sunset drinks atThe Lawn in Canggu to acclaimed restaurant Locavore in Ubud. The publication, now in its second year, also offers discounts that are valid for two people until July 31 next year. Present the hardcover or e-book version of the guide to enjoy savings of up to US$1,000 for two-for-one main dishes, spa treatments, free cocktails and desserts and up to 30 per cent off the bill. Each venue privilege can be used only once.